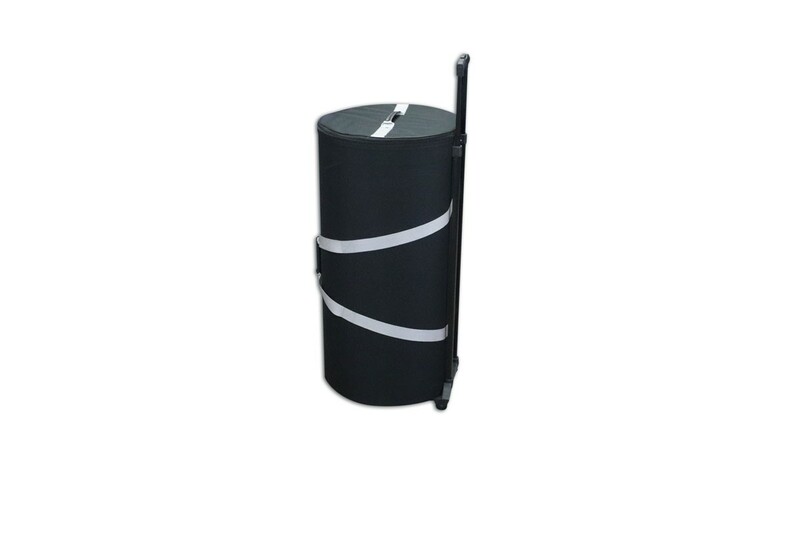 Are you tired of carrying bags of displays to your booth space? 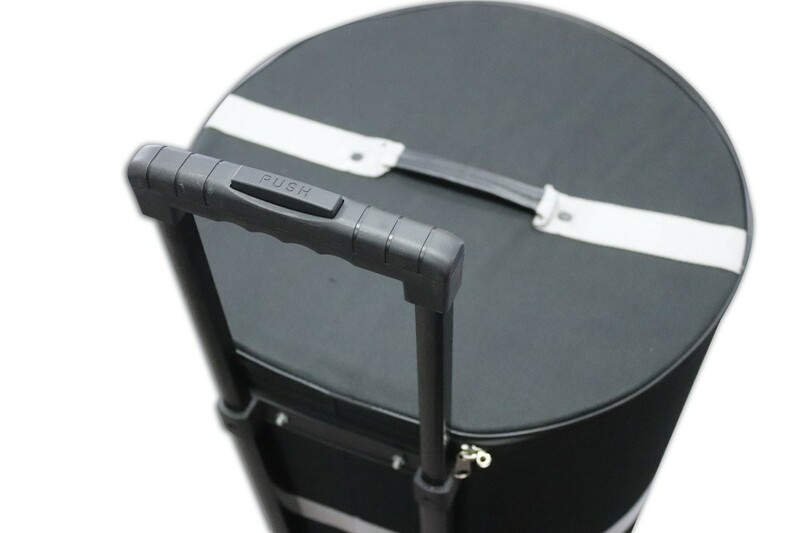 Our trolley case is the answer. it measures 36 inches tall by 16 inches in diameter. This provides ample space for our Pop-Up Displays plus other items such as table covers or a banner stand. 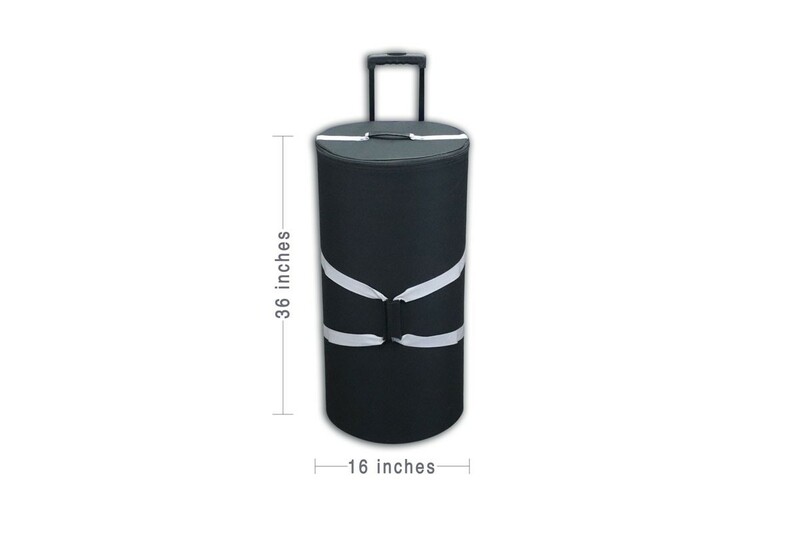 We keep this case lightweight so as not to weigh you down and keep you moving. The top features a convenient zip closure making access a breeze. 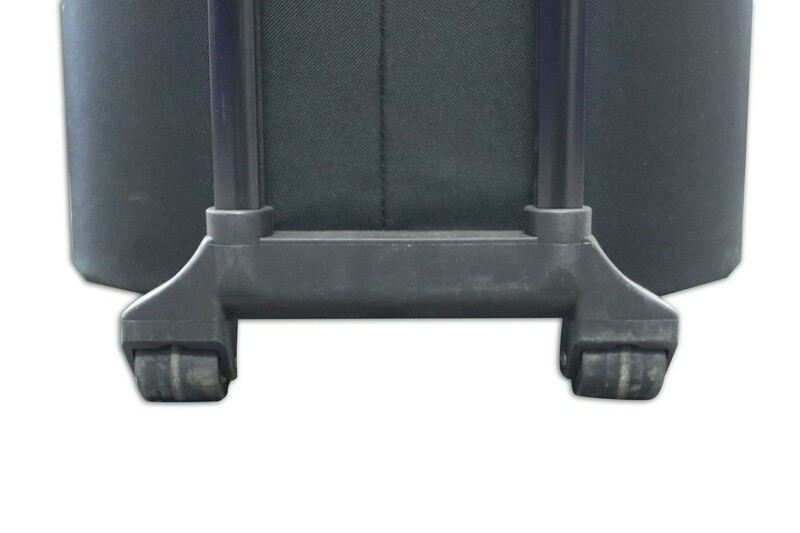 The handle extends above the top creating a comfortable pull position and the 2 wheels are spread wide for added stability. The case is compact enough to be stored lying down under most tables so it will be immediately on hand when you need to break down your display. 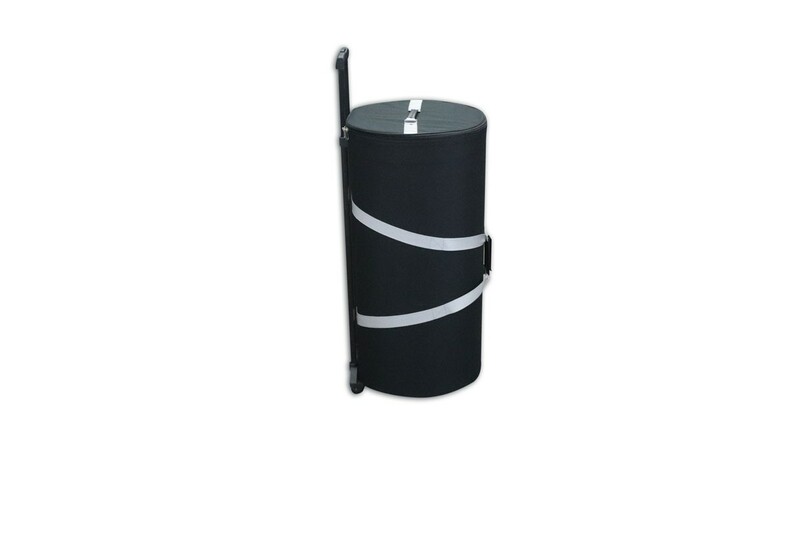 When it comes to convenience the Trolley Case is a must.